Our Golf Lover’s Margarita is perfect for the golf lover in your life. Not certain what to send to brother or father? 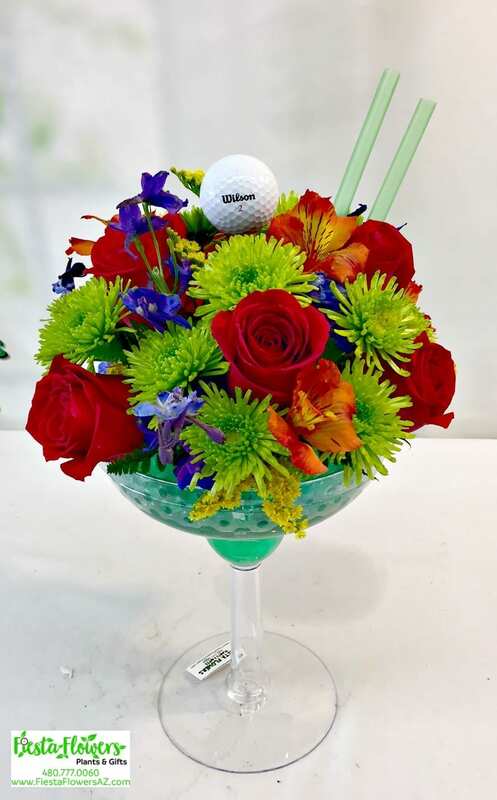 We have created this arrangement in our large margarita vase filled with green beads (reminiscent of the putting green). Lush garden flowers in green, orange and blue surround a golf ball on tee. We have included six red Roses, green Athos, blue Delphinium, yellow Saladego, and colorful Alstromeria in this fun arrangement.